The REDEEMS annual Praise Music Festival will be held on December 4 to 6 at the REDEEMS Centre in Singai, Bau Kuching, showcasing the rich culture, tradition and heritage of the Bidayuh people. This event hopes to promote cultural tourism in the Bau region, while also enhancing the goodwill between the different races and kampungs or villages in the area, allowing them to celebrate life and culture together in harmony. The event will be held with the REDEEMS core goals in mind, which is to move the local community of the Bau region towards an orderly and progressive society by creating development-centric activities that promote their cultures externally and preserve them internally. The Association of Research and Development Movement of Singai Sarawak (REDEEMS) is a community based organization (CBO) for the 12 Kampungs (villages) in Singai area, and was officially registered with the Registrar of Society (Malaysia) on the 7th July 1997 as a Non-Governmental Organization (NGO) and non-profit body (NPB). The fourth Kuching ‘Monster Dash’ Charity Run, back by popular demand and organized by the OurYouth.my team, will be held on 14 January next year, starting at iCOM Square to Jalan Pending. This charity run began as a 5km charity run to raise funds for charitable associations. This year’s charities are the Sarawak Children’s Cancer Society (SCCS) and the Hope Place, which is a non-governmental organization that aims to help the needy and underprivileged in Kuching, including the disabled, elderly and poverty stricken citizens. 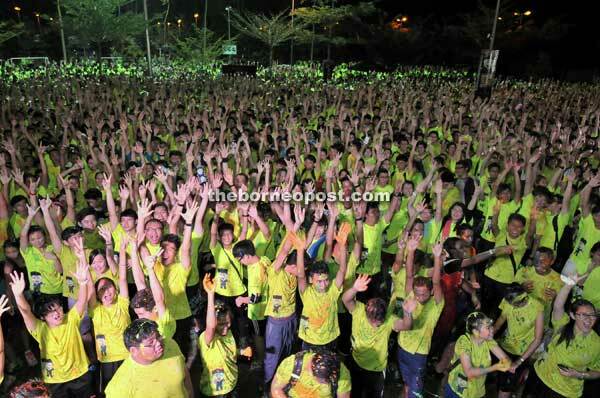 The run also aims to introduce a healthier lifestyle among Kuching people as well as establish real-life social networking between people, especially among the youth, while also experiencing the Kuching streets at night, which has proven to be a spectacular view of lights and nightlife. Through the run, the organizers hope to create a new way of encouraging social awareness and a sense of community responsibility and love to battle the different challenges Kuchingites face together, be it an underprivileged socioeconomic background or a debilitating physical impairment. Registration is open until December 18 this year. Picture shows runners of the third ‘Monster Dash’ charity run in 2015. Photo Credit: Borneo Post. Tusan Beach on the outskirts of Miri City has now gained prominence after the discovery of natural bioluminescence or a neon-blue glowing in the ocean waves at night better known as “Blue Tears”. While the Blue Tears are a product of phytoplankton in the water, and while it does not occur every night, it is undoubtedly a breath-taking sight. There is no promise that one can get a heads-up as to when to go to the beach to witness it, but Tusan does have incredible pull even without the blue-glowing waters at night. The Beach is one of the more secluded beaches on the Northern coast of Sarawak. With pristine white sands, incredible natural rock formations like the Horse Head Cliff, and a group of local food and drink stalls with fresh coconut and barbeque. One can come by and enjoy a fun and peaceful day out on the beach, away from the hustle of the city. 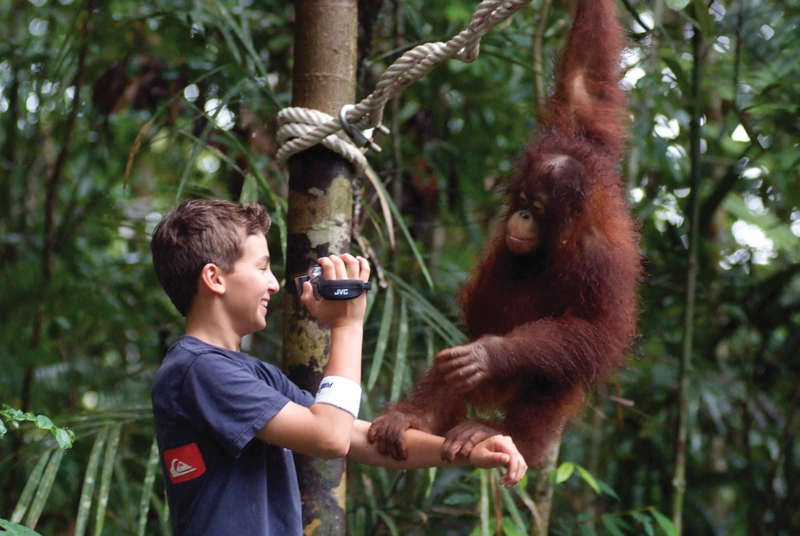 Diethelm Travel have created an eight day volunteer programme at the Batang Ai National Park, to enable participants to take part in the conservation works of the endangered flora and fauna. Registration is open from now until October 31, 2017. The programme will range from checking camera traps to maintenance of trails and infrastructure, as well as assisting local communities that live adjacent to the park who are vital first responders and informers in the conservation efforts of Batang Ai. The unique twist of this volunteer programme is the planned trek to the areas where the wild Orang Utans and other protected wildlife live, being in their natural habitat. At the end of the eight day programme, the volunteers will visit the Semenggoh Nature Reserve to gain awareness on the ongoing wildlife rehabilitation efforts of the Sarawak Forestry Corporation. 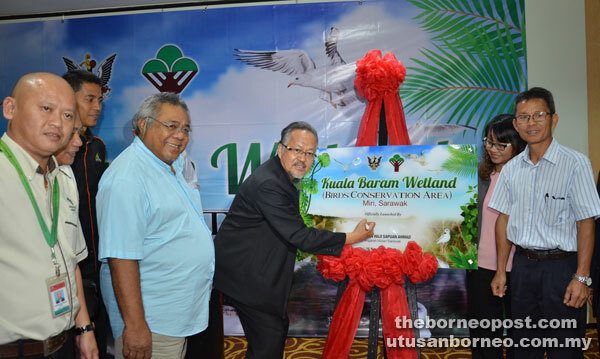 The Kuala Baram Wetland will be turned into a bird conservation area where more than 132 species of migratory birds are known to frequent. The Malaysia Nature Society (MNS) has confirmed that the area is vital to migratory birds from the northern hemisphere, with sightings of the very rare Chinese Tern have been seen in the area. The protected are spans roughly 600 hectares just outside of Miri City, and will be monitored by the Sarawak Forestry Department (SFD) and MNS for future scientific research and publications. Over time, the SFD is planning on turning it into a location like the Bako National Park, where visitors can come and see the wildlife in its natural and protected habitat. The annual reef and beach cleaning activities conducted by the Biodiversity, Environment and Conservation (BEACON) Project has now entered into its third year at the Similajau National Park. It aims to turn the Park, located just outside of Bintulu, into the “Green Lung of Bintulu”. The Project’s secondary component in Conservation, Education and Public Awareness (CEPA), where groups or programmes such as the Friends of Nature programme brings people into the national park to participate in the cleaning. The Project is organized by the MLNG Group of Companies, a subsidiary company of Petronas and the Sarawak Forestry Corporation. To date some 120 students from 21 secondary schools and 21 chaperon-teachers had participated in the Friends of Nature programme. 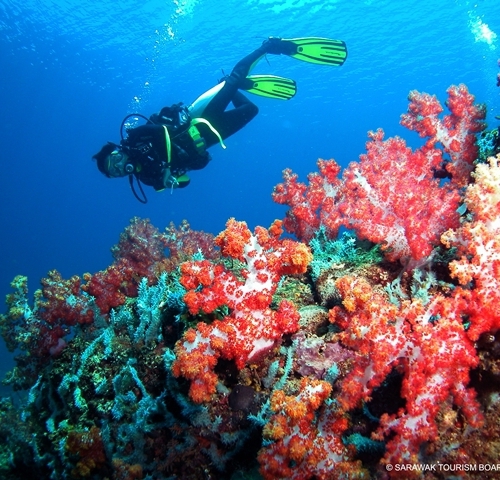 Entering the third year, the BEACON Project has proven to be effective in improving the marine wildlife and reefs in the area. The Assistant Minister for Environment and Assistant Minister for Workforce Development and Training Sarawak, Datu Haji Len Talif Salleh, attended this year’s BEACON reef cleaning in September. The Sarawak State Government will collaborate with different media agencies from China through Beijing AOWEI Media Sdn Bhd to promote Sarawak as the preferred tourist destination. 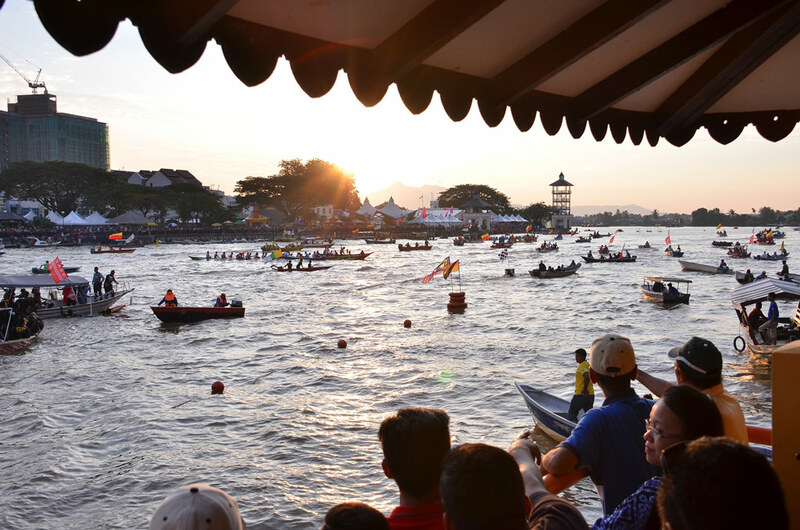 This coming year, new initiatives such as the Malaysia – China Chinese New Year Night and China Avenue of Stars Grand Convert will be held in Kuching, with the celebrities and popular social media influencers documenting their visit on social media to their fans throughout that time. “Eight popular singers from China will be making their appearances as well at the concert. During the same period, there will also be film shoot at different locations in the state by producers from China,” said the Assistant Minister of Tourism, Arts and Culture, Datuk Lee Kim, who met recently with the AOWEI Media group. Datuk Lee disclosed that four of China’s top models, managed by Fashion TV, were in Kuching recently and visited various places in Kuching for Photo-shoot, proving that this avenue of advertising through popular spokespeople has a very wide viewership. Datuk Lee Kim Shin, Permanent Secretary of the Ministry of Tourism, Arts and Culture, Datu Ik Pahon Joyik and Acting CEO of STB, Mary Wan Mering were present during the meeting with the Beijing AOWEI officials to discuss the future of Sarawak’s promotion in China. The night was attended by members of the Tourism Industry including the Minister and Assistant Ministers of the Ministry of Tourism, Arts and Culture, current and former Board of Directors, current and former-chairmen as well as the local media. During the celebration, the Minister of Tourism, Arts and Culture Sarawak, Datuk Amar Abang Haji Abdul Rahman Zohari Bin Tun Datuk Abang Haji Openg gave Long Service Award to eight members of staff, as well as the Excellent Service Award, for their tireless loyalty and service to the Board and the tourism industry. The Long Service Awardees include Mdm. 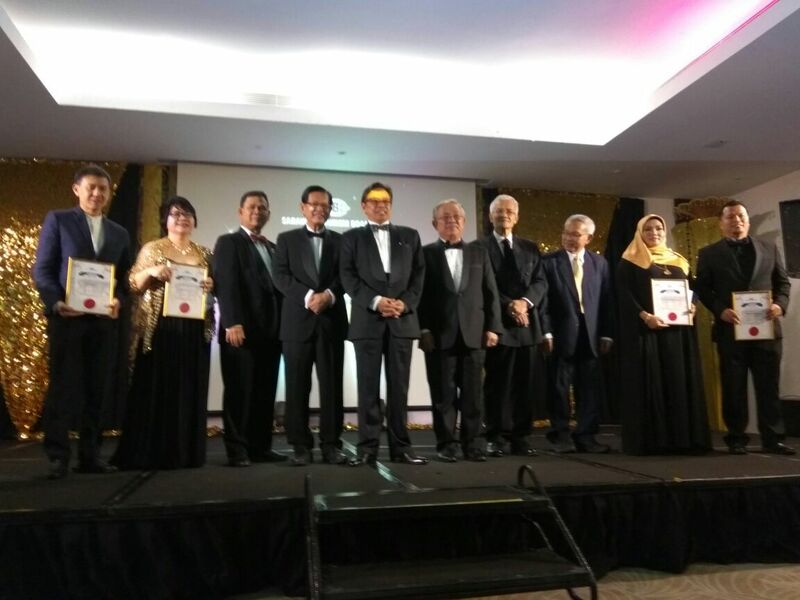 Mary Wan Mering, Puan Mastura Morshidi, Mr. Luan Jenggi, Mr. Yusup Labo, Mr. Jessie Mengka, Mr. Jefri Marsit, Puan Nujaimi Laudin and Puan Angela Linsam. The Excellent Service Award was awarded to Mdm. Mary Wan Mering, Mr. Maurice Balang, Mr. Michael Lu and Pn. Suria Bt. Mohd. Razali for their outstanding service to the Board. Picture shows Datuk Amar (fifth from left) with Datuk Lee on his right and from his left are Datuk Sikie, Datuk Abdul Wahab and Datuk Talib, and the recipients of the Excellent Service Award. The Honorary Secretary-General to the World Tourism Organisation (UNWTO), Francesco Frangialli arrived in Mulu for a visit to Mulu National Park, a UNESCO World Heritage Site on November 15 to 17. His trip was initiated by the Assistant Minister for Tourism Sarawak, Datuk Lee Kim Shin. 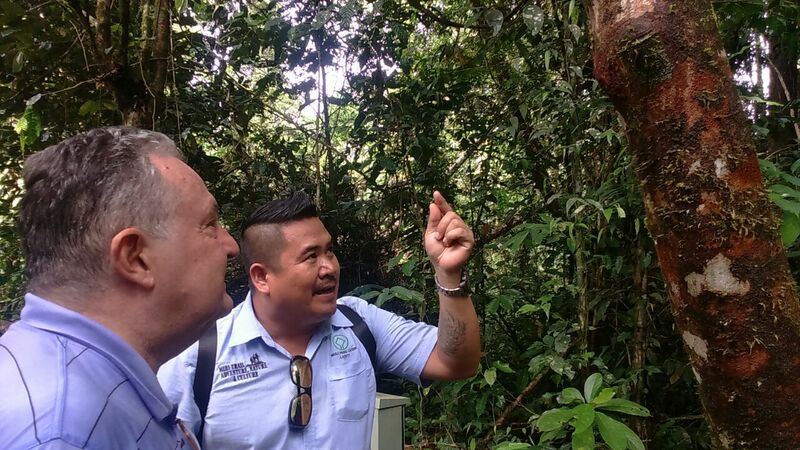 During his stay, which was hosted by the Sarawak Tourism Board, Frangialli took a guided tour of the Park’s rainforest and the four show caves, which are the Deer Cave, Lang Cave, Wind Cave and the Clearwater Cave. 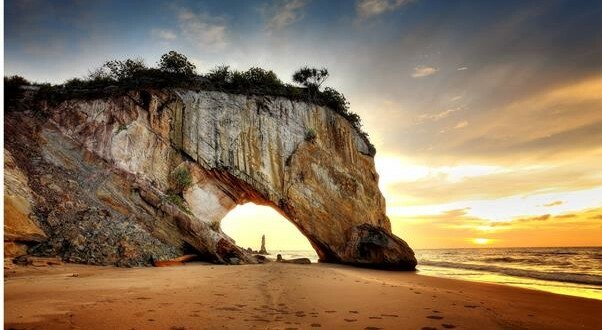 “I’ve been to many caves in my life, but none as impressive as this” Said Frangialli as he expressed his awe when he was presented to the Deer Cave’s main passage. Mulu National Park obtained its status as a UNESCO World Heritage site in 2000, becoming one of the few sites displaying four ‘World Heritage’ with an outstanding example of major changes in the earth’s history, a scene of exceptional natural beauty, a site that supports one of the richest congregations of flora to be found in any area of comparable size in the world, it has provided significant scientific opportunities for research on the flora of the site, specifically the origins of over 200 recorded species of cave fauna in Mulu National Park’s caves. The Mulu National Park remains one of Sarawak’s prime tourist destination as it displays the three core traits of Sarawak tourism: culture, adventure and nature. 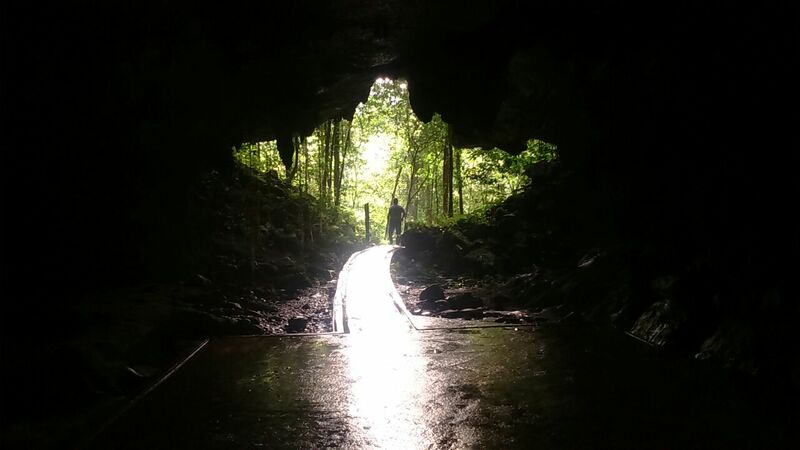 Picture shows Mr. Frangialli at the mouth of the Deer Cave in Mulu National Park.